You are here: Home / THE FIREPLACE BLOG / News / Should You Add Another Fireplace To Your Home? 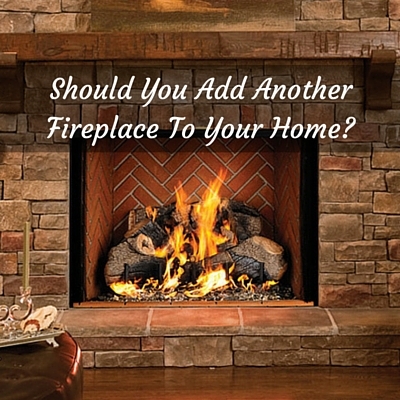 There are always questions that must considered before improving your home, especially when it comes to the addition of a fireplace. Where might you put it? Next to the current one? Along another adjacent wall suitable for a second full-size chimney? Is the process going to require a huge renovation? Fortunately, enhancing your home with the elegance and convenience of a second fireplace isn’t much more complicated than adding a stove to your kitchen! When you think “fireplace,” don’t only think of the big, gaping units that traditionally are found in the main rooms of homes. Rather, think “simple,” “smaller” and “ultra-modern.” A wide range of top fireplace manufacturers have created wall-mounted and floor units that are ideally sized and perfectly functional for many rooms in the home, from kitchens and bathrooms to bedrooms and offices. The primary concern when adding certain fireplaces to your home is venting. 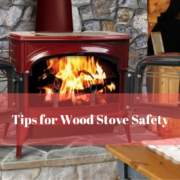 Because wood creates smoke, the law requires that a specific ventilation system be installed along with a wood fireplace. Venting a gas fireplace is typically less-involved. Some gas units are even designed to be vent-free. Then there are electric fireplaces, which never need any kind of vent and produce quick, predictable warmth. How would a second fireplace look? Most people who add a second fireplace to their home aren’t expecting a giant fireplace with a fancy six-foot mantel and a spacious brick hearth area, which is common with a main fireplace. But your new fireplace won’t have to sacrifice great aesthetics. The majority of second fireplaces can have their own mantels and surrounds, lovely glass doors and screens and finishes that accent the décor and colors of whatever room they’re placed in. So which is right for my home – wood, gas or electric? 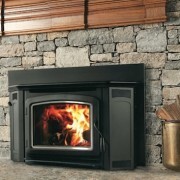 A lot of factors have to be considered when deciding what fuel your new fireplace will operate on. Talk with your local fireplace retailer to get all the facts, but here are a few to get you started. Wood Burning Fireplace: With wood, you’ll have the classic experience of fire flickering and logs popping. 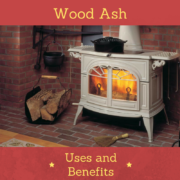 Wood brings an aroma that many people love. It can be ultra-economical if you gather your own logs. No kind of power outage can affect a wood fireplace. 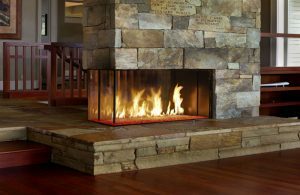 Gas Burning Fireplace: Gas burns very cleanly, and there’s no mess from wood logs to worry about. Modern gas fireplaces include remotes, giving you complete control of the flame size and heat volume. Gas logs sets look amazingly like the real thing. 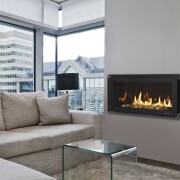 Electric Fireplace: These fireplaces offer the ultimate in convenience. Getting heat going is a snap, and there’s virtually zero maintenance. As with gas, you’ll have absolute control over the heat level. And they look pretty snazzy, too. 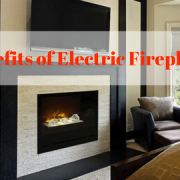 Energy House has provided consumers with a fascinating selection of wood, gas and electric fireplaces that can be ideal when looking to add a second, or even third fireplace to your home. Our highly qualified staff can give you all the details you need to make the best decision on the make, model, fuel-type and size that’s right for your home. https://energy-house.com/wp-content/uploads/2016/07/Refaced-Cabinet-Maintenance-Tips-To-Help-Keep-Them-Looking-Like-New-3.jpg 400 400 admin https://energy-house.com/wp-content/uploads/2018/10/energy-house_logo-2c-HORIZ-red_white-notag-300x69.png admin2018-06-15 21:15:362018-08-13 12:54:03Should You Add Another Fireplace To Your Home?